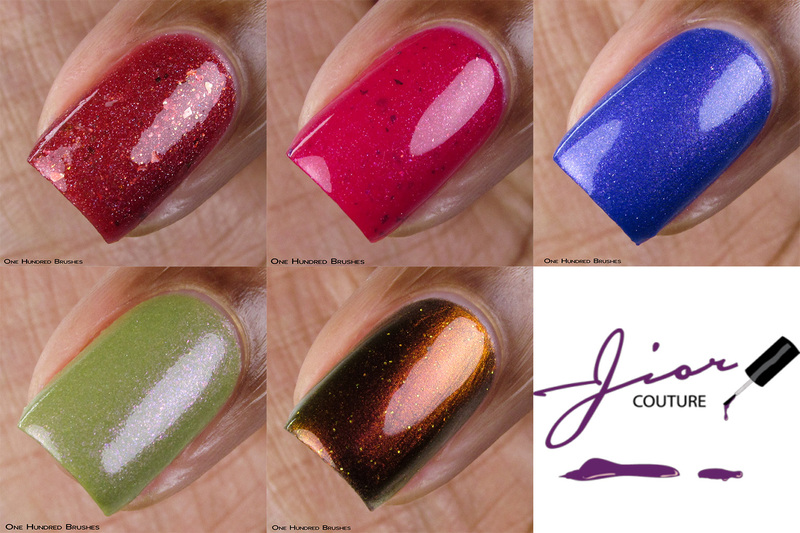 I have November’s Jior Couture swatcher collaboration to share with you today! This time, Sacha worked with my girl Tasha on this five-piece collection, “I’m Just Here For The Comments!” I immediately geared up for a giggle when I heard the name of the collection. Yes, I’m one of those who settles on reading a post based on how many comments there are. This is how I end up spending hours on Reddit and coming to find that it’s 4 am! Grab some tea, cozy up and let’s get into it! I’ll be adding some quotes from Tasha as she elaborates on the name behind these shades. Believe me when I tell you, she’ll do a much better job at it than me! Opening up the chat is Don’t @ Me! 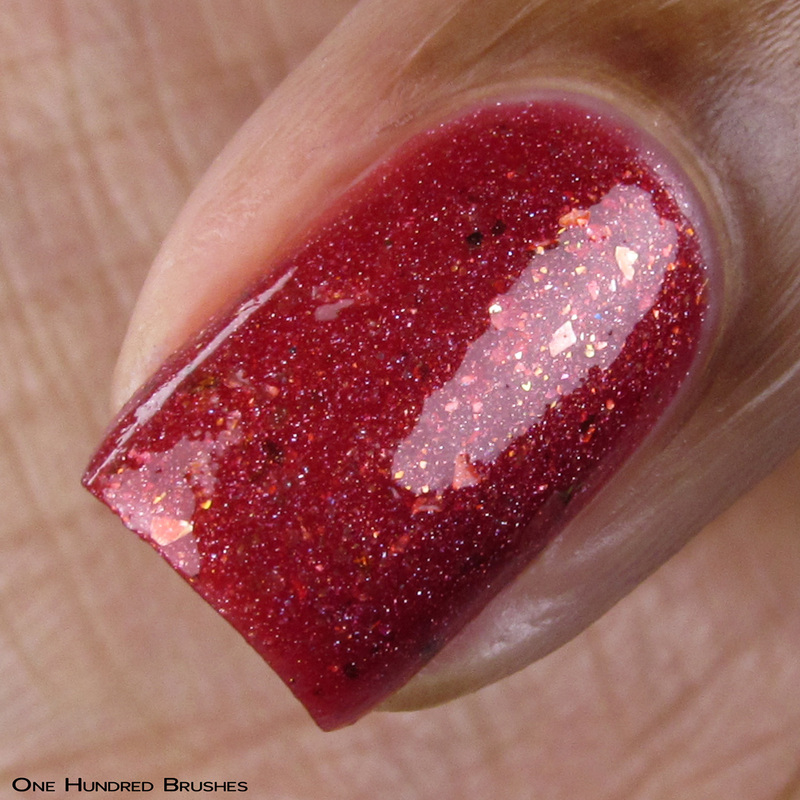 ; a warm red holographic jelly base with a scattering of gold flakes. 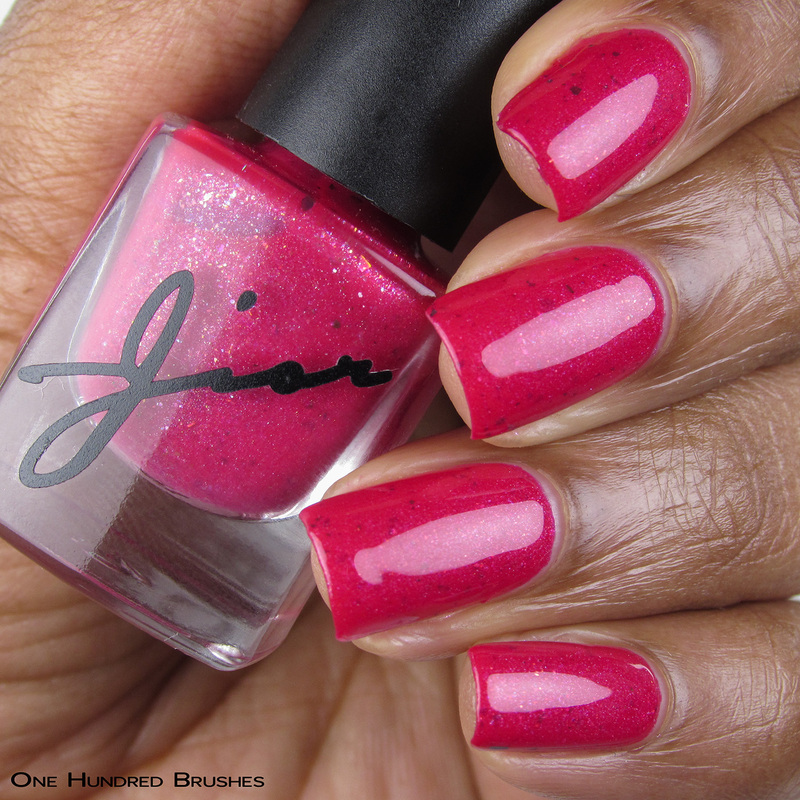 This polish applies beautifully with that shine synonymous with jellies. I’m wearing two coats with a glossy topcoat. That name, I die! I’m Good Luv, Enjoy! 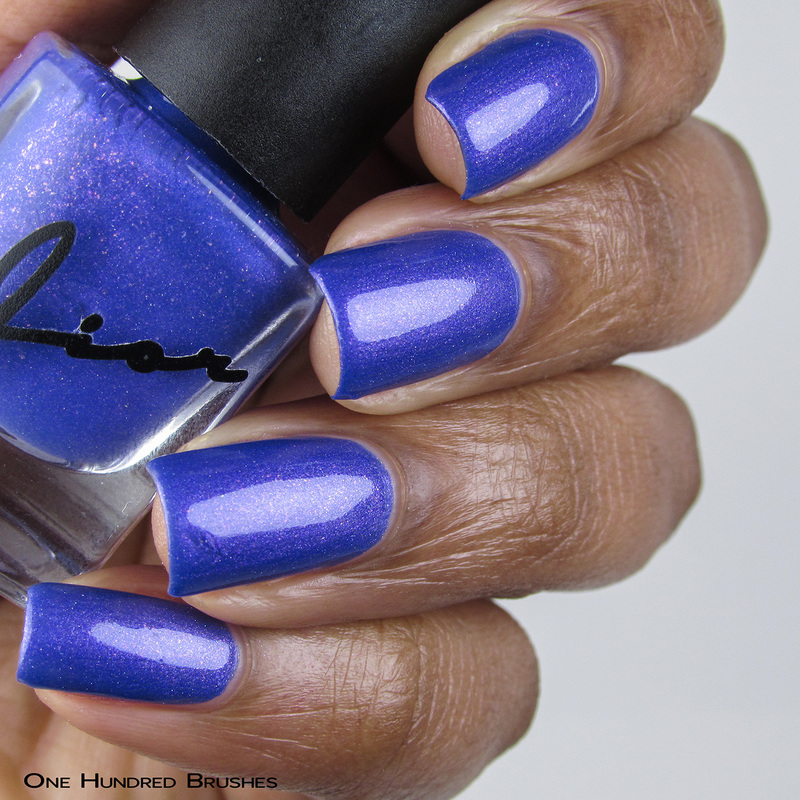 is a fun, blurple scattered holographic with a copper and blurple shimmer. 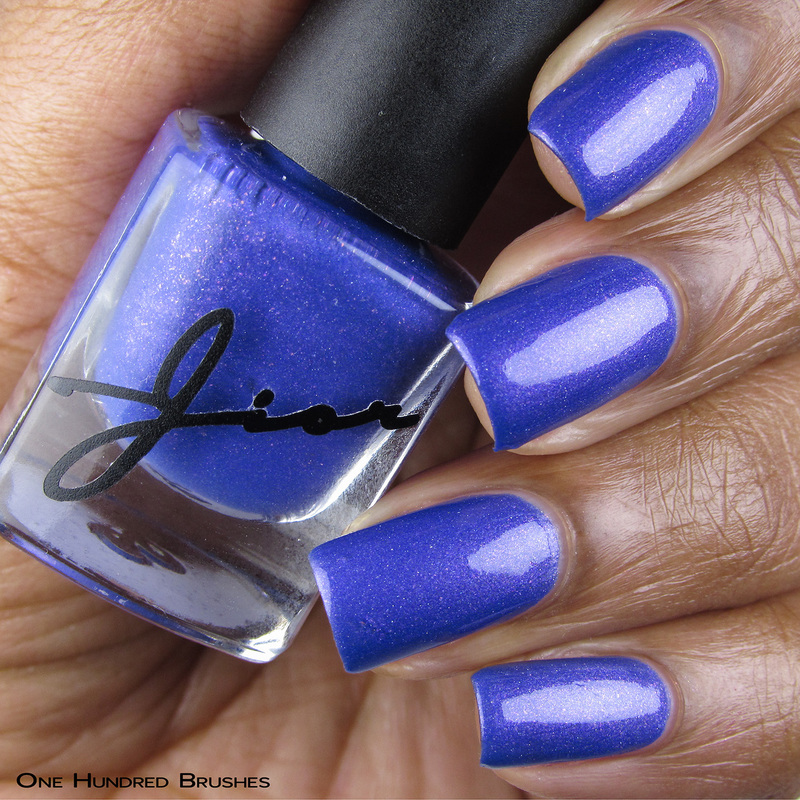 The formula carries a workable thickness and dries to a bit of a satin finish. Topcoat really brings this baby to life. I’m wearing two coats with a glossy topcoat. 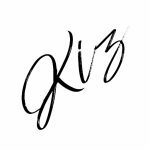 This is one you use when someone is trying to bait you into a debate or argument but you wanna let them know in the most classy but borderline smart aleck/condescending way possible, that you’re not here for the foolishness. I Said What I Said is a hot deep pink scattered holographic base with multichrome flakes. This is so warm and happy with just enough micro flakes to add pops of color. 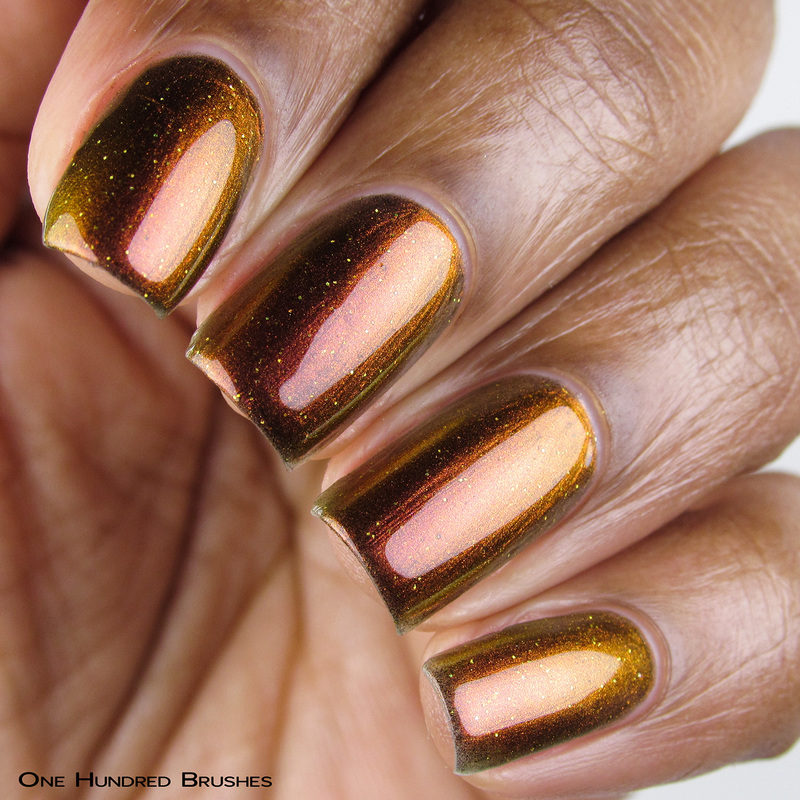 The formula is an easy medium and pretty close to wearing as a one-coater. I’m wearing two coats with a glossy topcoat. When you drop this line in the comments section or during a convo…it’s a hard hitter. You’re basically telling your audience that you SAID WHAT YOU MEANT AND MEANT WHAT YOU SAID! No questions needed. Don’t challenge me on it and NO! I’m not taking it back. DEAL WITH IT! Throw The Whole ___ Away! This is an army green creme base with a prevalent violet shimmer. The polish here is slightly on the thicker side but not at all difficult to work with. It’s nearly a one coater but I wore two coats under these lights. I’m wearing two coats with a glossy topcoat. You know when you see or hear or read something that is so incredibly ridiculous that you just CANNOT with it? You don’t want to have to deal with it or discuss again? Or you can’t believe someone said or did what you just read? You fill in the ___ with whatever “IT” is. 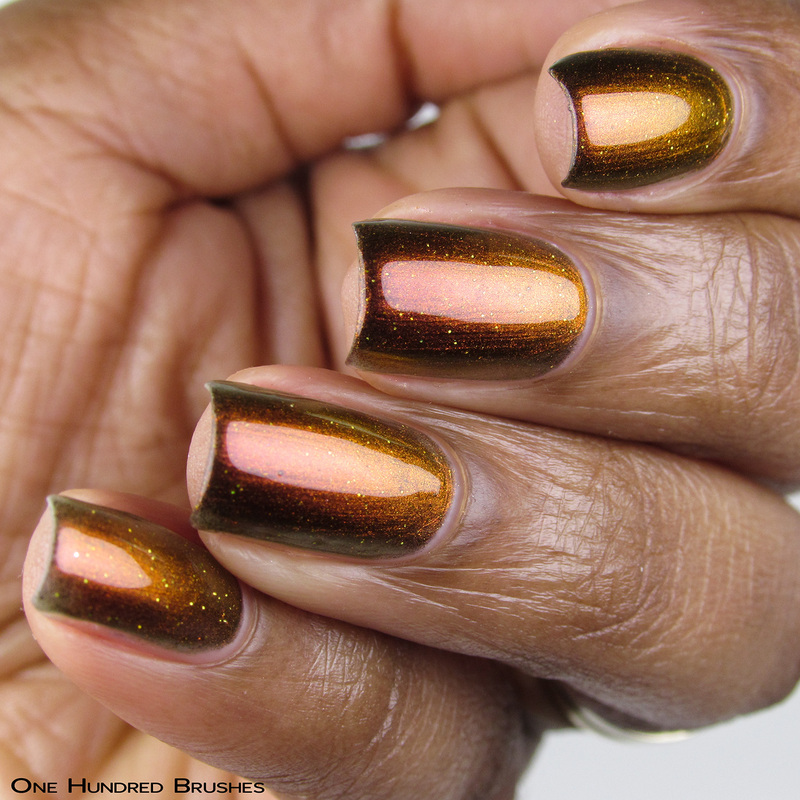 We close things off with this gorgeous, Fall-worthy multichrome! Where’s The Lie? 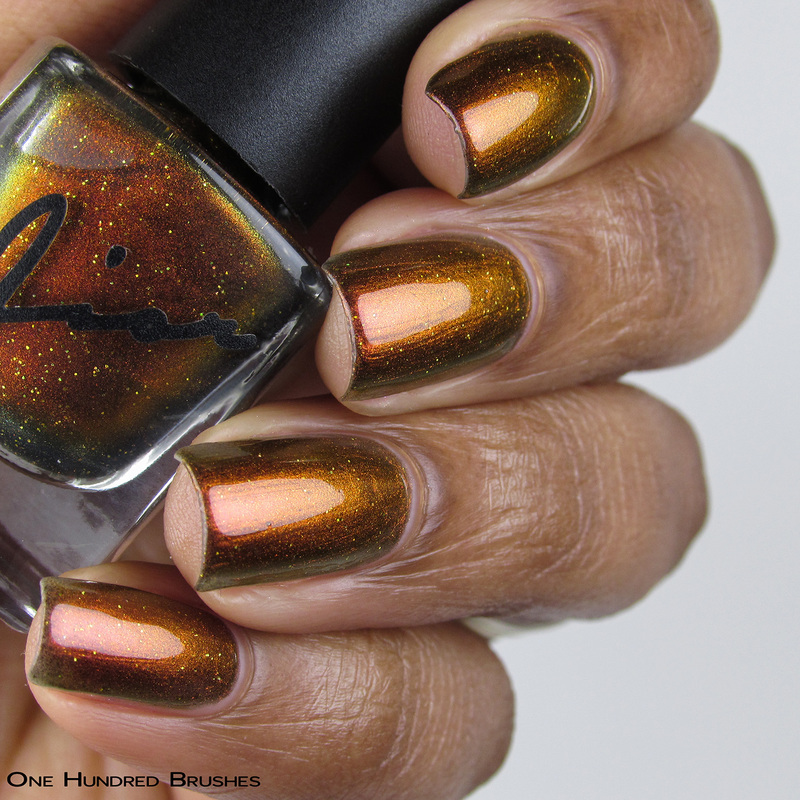 is a gold to green to copper to red shifting multichrome with a sprinkling of holographic micro glitter. It’s pretty sheer on its first coat but builds nicely to its depth. Wearing over black would allow for a quicker coverage. I’m wearing three coats with a glossy topcoat. I’ve thoroughly enjoyed this collection, especially with those names giving me the chuckles! 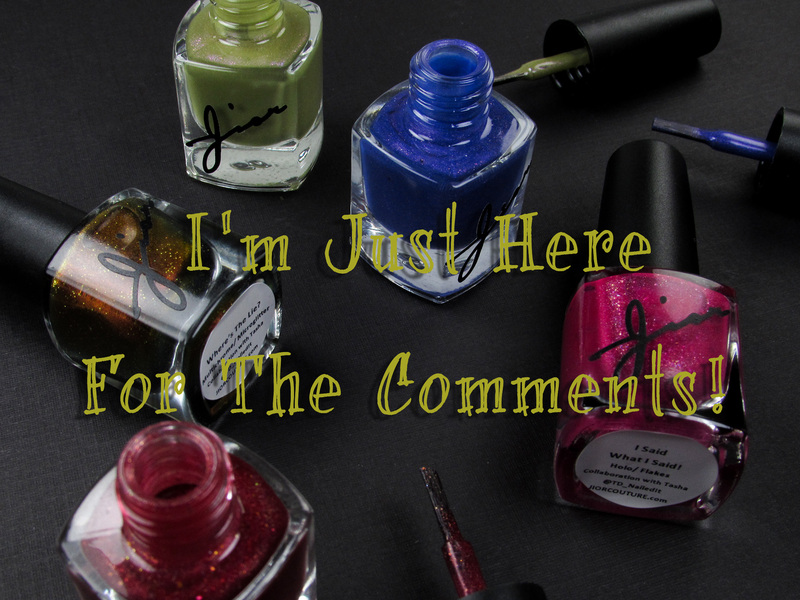 The I’m Just Here For The Comments collaborative collection is now available for purchase from Jior Couture! What are your favorite comments in chat threads?